In a statement released on Wednesday, the US military announced the controlled missile destroyer USS McCampbell, and the Royal Navy frigate HMS Argyll conducted operations in the South China Sea between January 11 and 16. 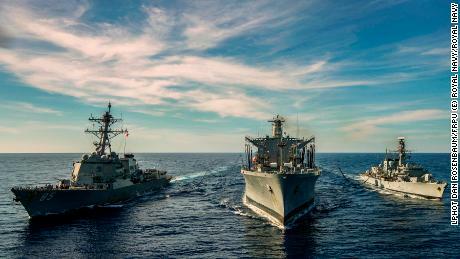 According to the United States, the two vessels performed communication exercises, division tactics, and staff exchange during the week to help "develop relationships" between the two names. "Professional engagement with our British colleagues allows us to build on our existing strong relationships and learn from each other," us cmdr. Allison Christy said in the release, adding that it was a "rare opportunity" to work with the British Navy. The United States has regular freedom of navigation operations and exercises in the South China Sea to emphasize its rights to travel in the region, but the United Kingdom has only recently ramped its presence in the disputed sea. 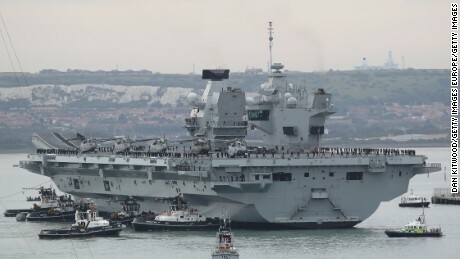 British defense minister Gavin Williamson even flooded the idea of ​​a new British military base in the Asia region in an interview earlier this year with the Sunday Telegraph. The Chinese government would probably take a weak view of an increased British presence in the region, given historic tensions between the two countries' fleets and the intimate role Britain played in China's "century of humiliation." The release said that Argyll was deployed to the region to "support … regional security and stability." 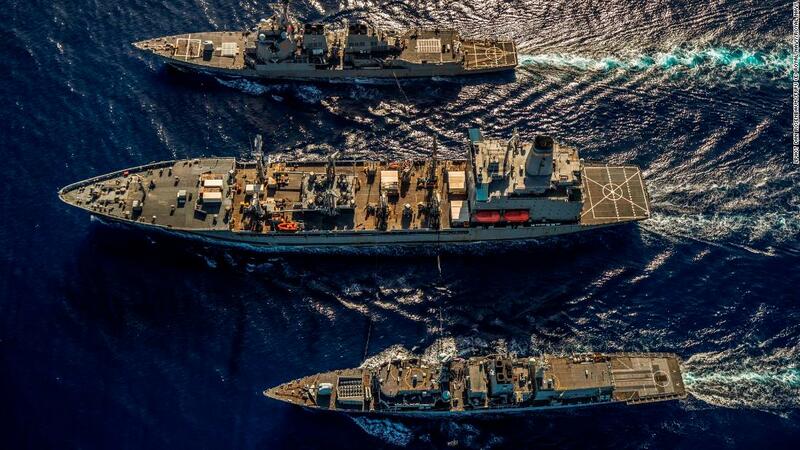 Both the US and the United Kingdom performed anti-submarine warfare exercises with the Japanese military in the region in December. Tensions have risen steadily again in the South China Sea over the past year after a quiet period after US President Donald Trump's inauguration in January 2017. At least five countries claim territory in the very strategic region, but Beijing has strengthened its extensive demands with militarized artificial islands capable of coughing missiles and bombers. The news of the exercises comes less than a week after Beijing reacted furiously to the USS McCampbell sailing within 12 miles of Chinese alleged territory in the Paracel Islands. The Chinese Foreign Ministry accused the United States of violations in its territorial waters. On January 8, Chinese state media announced CCTV that Beijing had deployed DF-26 ballistic missiles to China's remote northwest plateau, which it claimed was "capable of targeting medium and large ships."